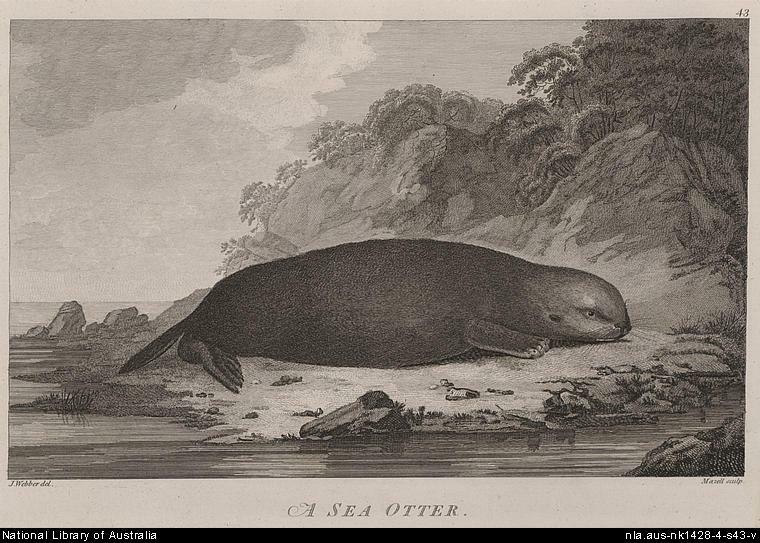 The Australian National Library has a nice set of the engraved illustrations for the journals of Captain Cook online. 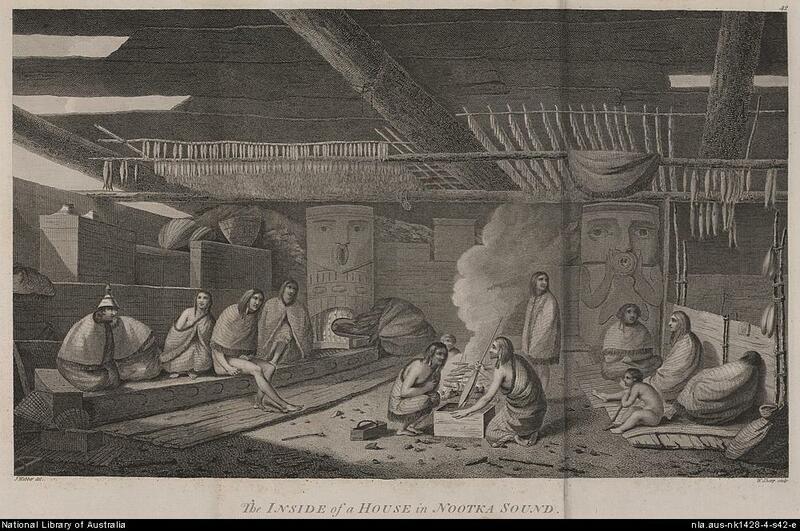 Above is the famous 1778 image of life inside a large house at Yuquot (Friendly Cove) in Nootka Sound. The image above encapsulates so much about life on the west coast: one group of people on the ground, tending to the fire, looking a little miserable, while another family unit sits on benches in nicer clothes and with their feet dry; the little partition dividing up the large house into dwelling foci; the boxes of stored good and paraphernalia; the fish hanging up in the smoke (and look how they are all different sizes and shapes of fish). And note the “whaling trophy” at the base of the left housepost, a wooden whale fin apparently studded with sea otter teeth. A closely comparable example was found at the Ozette site. That’s the inside of the house — one remarkable thing about the outside of the house is the massive piles of shell midden almost obscuring the dwellings. We think of middens as flat, but active middens may have been highly mobile, rutted, mounded affairs, which should give us pause, or at least, humility. Their interface is clumsy (or maybe just slow) and I know you only want the Northwest Coast ones anyhow, so other treats are these masks and frontlets, the well-known man and woman from Nootka, and, below, a sea otter proving that cute overload is no modern invention – thought the listless aspect of the otter suggests that it may have been dead at the moment of portraiture.